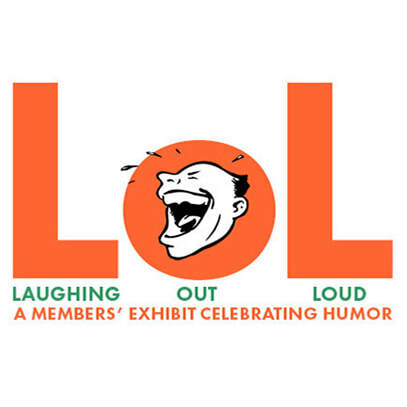 LOL: The Humor Show is a members-only exhibit celebrating the things, events, and people that make us smile in joy or laugh out loud. From a child’s sheer delight eating ice cream on a hot summer’s day to a classic slapstick movie or a silly pet trick, we will share through our art the special lighthearted moments that can make life so delightful. At the opening reception of this members’ salon-style show, the artists will have the opportunity to describe the thoughts and feelings behind their works and bring a smile to our faces in the process. LOL: The Humor Show promises to shine a light on these uplifting moments through the creative display of our many talented member artists.